Berlin – A two-day workshop addressing discrimination and anti-Gypsyism in the enlargement region, organized under the auspices of the Regional Cooperation Council’s (RCC) Roma Integration 2020 (RI2020) project, opened in Berlin today. The main objective of the workshop, gathering more than 80 ministerial officials from the Western Balkans and Turkey, is to ensure officials from the enlargement region dealing with Roma integration recognize and understand discrimination against Roma and anti-Gypsyism. “It is highly important for us to formulate adequate policies resulting in integration, rather than further exclusion of Roma. It is not about blaming and shaming – it is about improving our capacity and performance”, said RCC Deputy Secretary General Gazmend Turdiu at the opening of the event, adding that this is one of the rare occasions for the enlargement region to jointly discuss discrimination against Roma and anti-Gypsyism, and that RI2020 is assisting region’s governments in their efforts to close the unacceptable gap between the Roma and non-Roma population. Although there are some efforts and public discussions on combating discrimination, primarily as part of aligning legislation with the EU acquis, the enlargement region is lagging behind in this regard. The specific context, reasons, manifestations and schemes of discrimination against Roma are far from the spotlight. In addition to series of panels on phenomenon of anti-Gypsyism, introduction to policies addressing anti-Gypsyism in European Union and Germany and overview of the practices and strategies to combat anti-Gypsism in the EU and the enlargement region, the two-day workshop program includes “experimental learning”, in which participants have the opportunity to go through experiences related to discrimination, in a controlled and friendly environment. 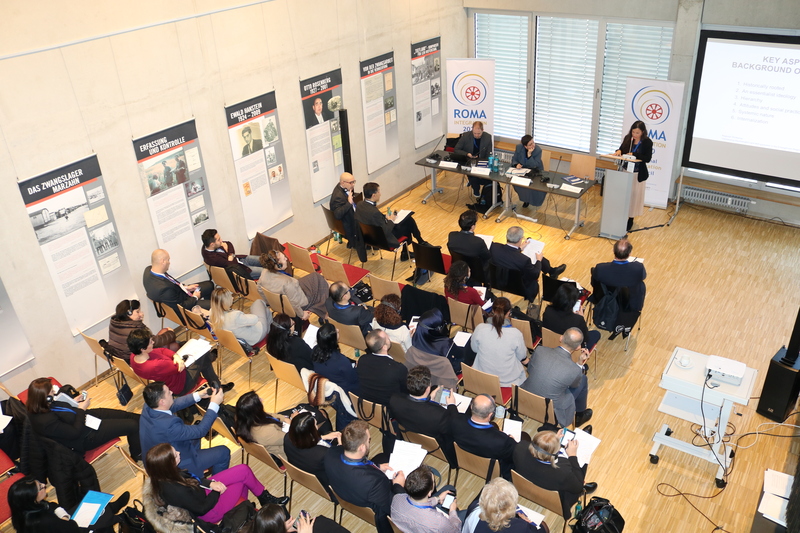 Director of the German Federal Anti-Discrimination Agency Christine Luders reminded that Roma and Sinti are our continent’s largest minorities and that the hatred and racism towards them is a problem of all Europe. “The most important thing we can do is to show our solidarity and not to make decisions on behalf of the minority, but instead make sure that we listen to and amplify the voices of Sinti and Roma themselves”, underlined Luders. “Not only openly visible, but also the invisible mechanisms of anti-Gypsyism, still determine the thinking and actions of political decision-makers and institutions. To this day, it is taken for granted that the minority is responsible for its own social disadvantage and the inhumane housing situation,” stressed Chairman of the Central Council of German Sinti and Roma, Romani Rose. 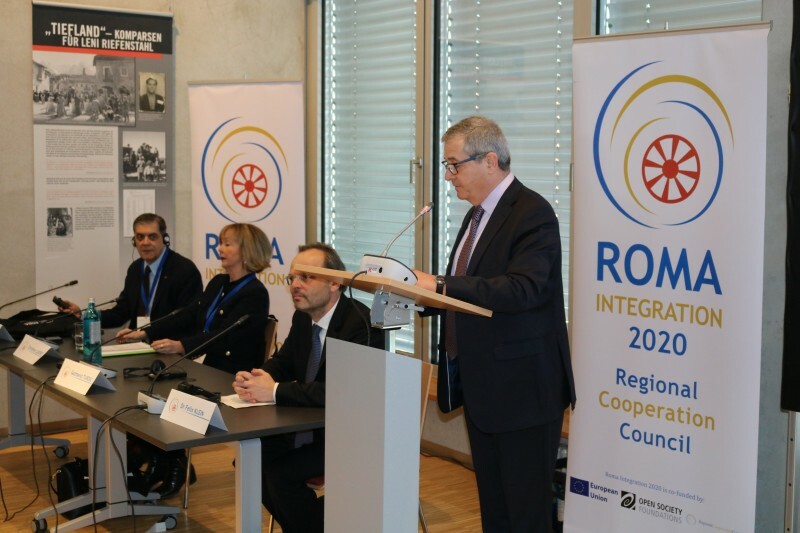 He reiterated that as long as Europe, where Roma have been living for centuries, do not explicitly name antigypsyism as the cause of the desolate situation, the efforts of the governments and the EU for Roma integration would not be successful. This workshop is an inclusive part of RCC’s RI2020 project efforts to increase the knowledge and understanding on discrimination among officials dealing with Roma integration from the enlargement region by understanding situations Roma are put through and comprehend the historical background of discrimination and anti-Gypsyism phenomena, so they could contribute to the alignment of good practices at regional level and with the EU, in order to cope with the developments in the field of fight against discrimination and anti-Gypsyism. Concept Note of the Regional Workshop “Addressing Discrimination and Anti-Gypsyism in the Enlargement Region"
Agenda of the Regional Workshop "Addressing Discrimination and Anti-Gypsyism in the Enlargement Region"
Report on the Regional Workshop "Addressing Discrimination and Anti-Gypsyism in the Enlargement Region"